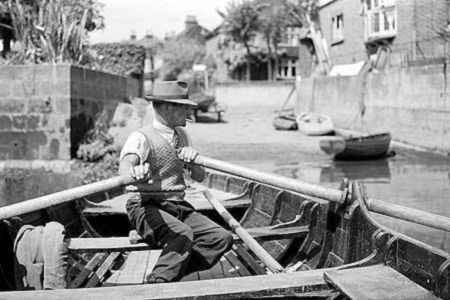 "Going to Richmond rather than Kingston - Tony Arbour 13". "Poor transport leaning to under-development - David Williams 11". "Memoreis of the Petersham Hole - Cannell Benmore 16". "Petersham Hole late 1970s - David Williams 12". "Travelling to school in Gunnesbury - Cannell Benmore 04". "Garage on the Petersham Road - Cannell Benmore 18". 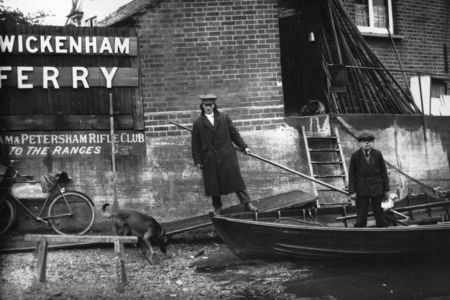 "Petersham hole meant we stopped going to Richmond - Michael Facey 31". "Two buses for my school days in Sheen - Michael Facey 06". "Bus Routes in Ham after the war - Frances Forward 08". The 71 was introduced in the 1950s. Running from Richmond Raleigh Roadto Kingston via Petersham, Ham Common, Lock Road, Tudor Drive and Kings Road. It was initially operated from Kingston (K), using STL-class AEC Regents.The 71 is a superb example of a ‘drifting route,’ i.e. a route whose territory has moved such that it no longer serves any of its original route, apart from a few streets in central Kingston. The number makes its first appearance on the 1952 bus map, when the route ran from Hammersmith to Kingston, providing the first regular service over Chiswick Bridge (other than the Sunday only 110A/111 of earlier years) and charting new territory in the Ham area.The route had a brief extension from Hammersmith to East Acton, but had lost its Sunday service by 1961, the Hammersmith to Richmond section being covered by the Sunday-only 90C (Staines to Richmond/Hammersmith, now 290 and 190) instead. 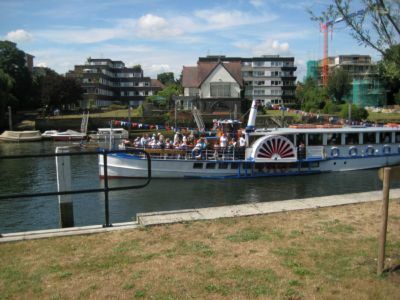 There was also a Saturday only extension from Kingston to Sunbury via Hampton and Lower Sunbury from 1960 to 1964. In 1968, the 71 was effectively split at Richmond, with the 90C introduced on Mondays to Saturdays between Richmond and Hammersmith only. Astute readers will notice that the resultant 71, chopped down to a short Kingston-to-Richmond-via-back-streets route, was quite similar to the present day 371, albeit still lacking a Sunday service. 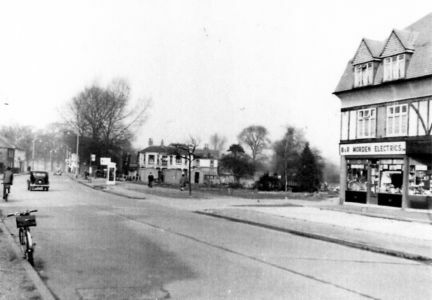 The Richmond Hill area was not served at that time, though, while the Kingston terminus was at the bus station rather than the High Street. But a year later the 71 was growing again, with an ambitious extension from Kingston to Leatherhead replacing route 65. In practice, the route generally ran in two overlapping sections from Leatherhead to Ham and Surbiton to Richmond, and this was formalised in 1978 with new route 265 taking over the Leatherhead to Kingston section, and running through to Richmond on Sundays, and the 71 operating Surbiton to Richmond only, once again with no Sunday service. But the 265 only lasted until 1980, when the 71 was extended back as far as Chessington. In addition the route was diverted via Richmond Hill on Mondays to Saturdays, replacing the commercial 235 route operated by Pioneer. The section between Chessington and Leatherhead was left to London Country with their Green Line route 714 and occasional garage journeys on route 468. In addition, certain Monday to Friday peak hour journeys on the 65 and 71 continued south as far as Malden Rushett. As an aside, the routeing north of Kingston was a bit different from the present 371. 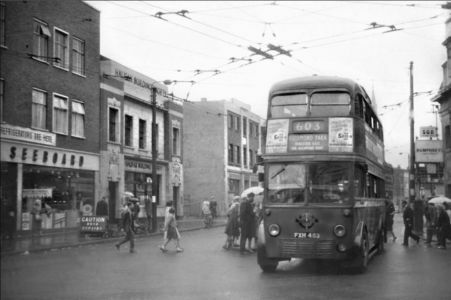 Buses on the 71 headed north along Richmond Road and then cut across to Park Road via King’s Road before continuing via Tudor Drive to Ham and Richmond. 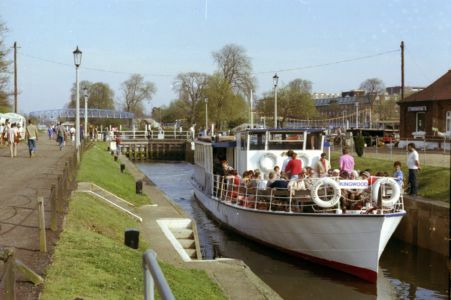 However, in 1982, BL class single deckers were replaced by newer LSs in the Kingston area. 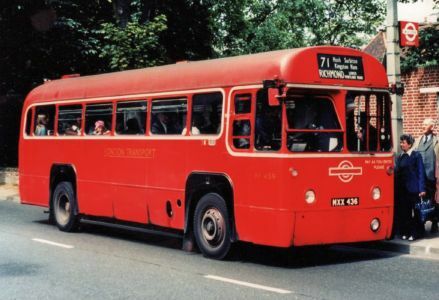 BLs had operated the 71 on Sundays (Routemasters working it on Mondays to Saturdays) but there was a turn on King’s Road that the longer LSs could not manage. As a result northbound 71s were diverted via Wyndham Road. This Sunday-only diversion provoked opposition from the locals. On the first day, someone ‘helpfully’ parked a van very awkwardly at a junction, and there were residents waiting with cameras to get photos of the bus mounting the pavement. 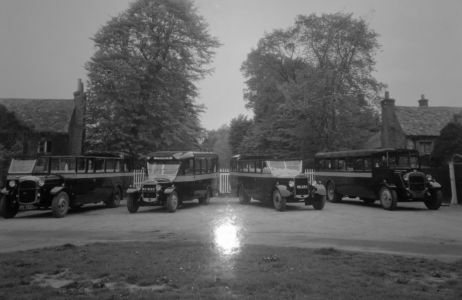 They had reckoned without the skill of Norbiton’s drivers, however although it was tight, the driver of his bus had little difficulty getting round the junction without touching any of the kerbs (or the van). 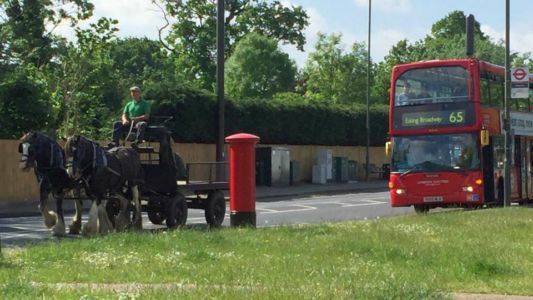 “I can’t understand why the people with cameras looked so disappointed – surely they would have been pleased that their local bus route was able to operate safely?” he gibes. 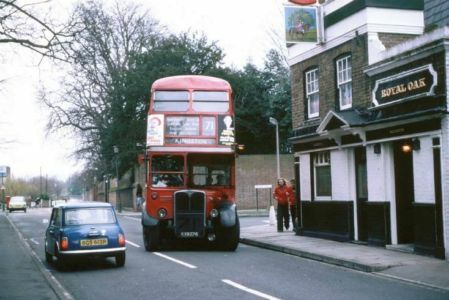 The 65 continued to operate between Ealing and Chessington Zoo until the 1987 Kingston Bus scheme, when it was cut south of Kingston. The 71, operated by Kingston Bus with first-generation DMSs, was enhanced to replace it, including a diversion via Copt Gilders estate. 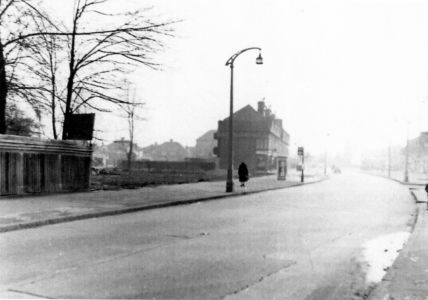 As a result, a short section of Leatherhead Road in Chessington, between Bridge Road and Garrison Lane, was unserved by London Buses (apart from the summer Sunday 72). However, LC’s 468 (by then running from Leatherhead to Epsom (“cluster hospitals”) via Chessington) was divided into two Surrey Council supported routes, the 568 (now 467) from Epsom to Chessington Zoo and the 514 (now 465) from Dorking and Leatherhead to Kingston. 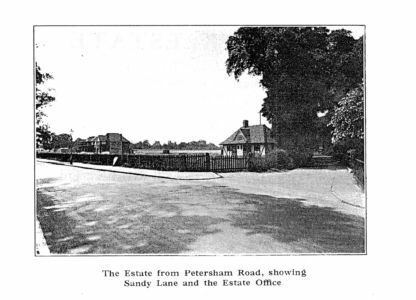 Both served the affected section of Leatherhead Road. There were still peak hour journeys on the 71 south of Chessington Zoo to Malden Rushett. 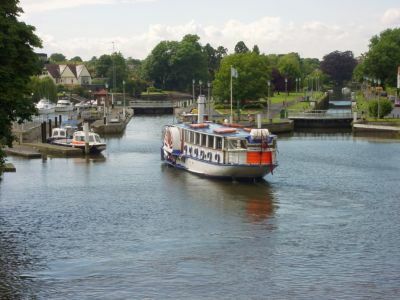 An interesting route began in 1989, providing peak hour journeys from Hook (Ace of Spades roundabout) to the British Aerospace plant in Ham in the morning, returning in the afternoon. Numbered X71, the express section was between Kingston and Ham, but the route also ran straight into Kingston via Penrhyn Road rather than going round via Villiers Road as the 71 (and 65) had done. In 1990 Kingston Bus, and its modern garage at Norbiton, was closed down, and there were several local route changes as a result. The 71 was cut to run just between Chessington Zoo and Kingston, the 371 taking over from Kingston to Richmond. In the process, the last bit of original 71 route was lost! 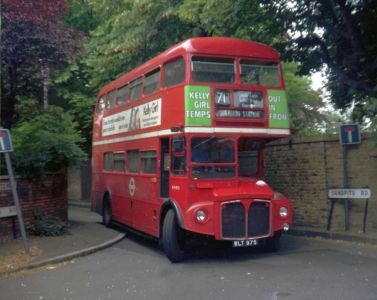 The route moved to London United’s Fulwell garage, where it has remained ever since. The X71 was back-projected to Malden Rushett to replace the odd 71 journeys, but did not serve the Copt Gilders estate. To wind up this story, the X71 disappeared in 1992, when the 514 was replaced by the 465 which initially featured peak hour extensions to Ham in replacement. The only remaining change to record is the switching of routes between Surbiton and Kingston with route K1, with the more direct Penrhyn Road adopted for the trunk 71.